Euteller is an instant bank payment service widely-used in Finland active for over a decade with more than 15 million transactions completed so far. This is a secure and reliable solution crossed its home country borders since it enables players to make deposits or withdrawals and get bonuses in supported online casinos that have no physical boundaries. A private-owned company started to operate in 2007, Euteller is closely monitored by the Financial Supervisory Authority of Finland (FIN-FSA) and works under its strict regulations to ensure security in all financial transactions. This is one of the payment methods you can use on multiple devices and get a dedicated support 24/7. Making a payment using Euteller is a simple and straightforward procedure: from our Euteller Casino section, register an account and select this as a preferred mechanism. 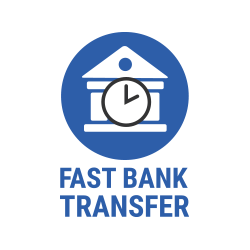 Define the amount you want to deposit or withdraw, choose your respective bank from the list of participating and login with existing credentials. You will receive a PIN code to enter and confirm the payment.